Welcome to my website! 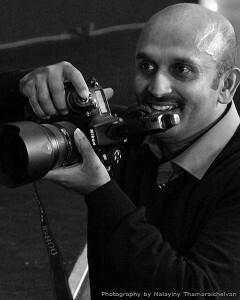 My name is Koneswaran Thuraisamy ( Kones ) and I’m a Germany-based photographer. Ever since I was a young boy, I have been influenced by photography, design and art – all of which have fueled the creative senses in my life. I am someone who is visually motivated and constantly drawing inspiration for my work. Through the lovely people I have met, the beautiful sceneries that the globe has to offer, and the tiny details of our visual world, I become more and more inspired to capture beautiful moments and untold stories. My work includes wedding/engagement, special events (e.g. musical shows, birthday parties, baby showers), and portraiture. I enjoy the beauty and uniqueness of every couple’s love story, the twinkling emotions evoked by family, and the contemporary elegance of portraits. I hope you enjoy viewing my photos as much as I have enjoyed creating and capturing each special moment. I look forward to meeting you and timestamping your beautiful memories!